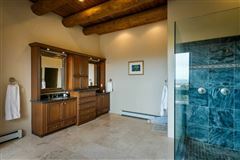 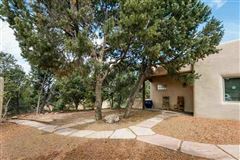 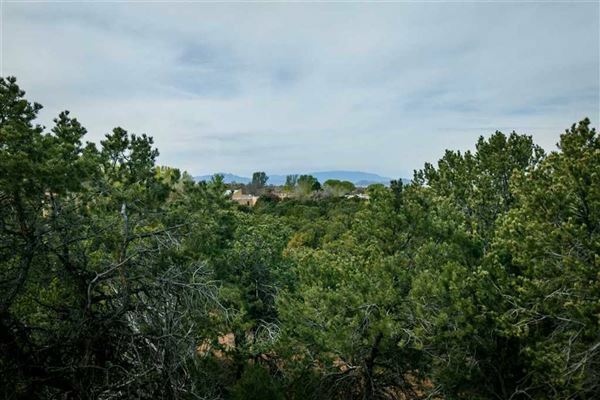 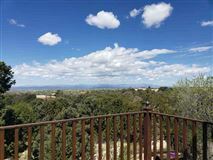 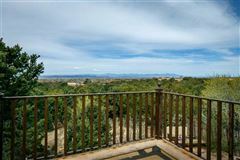 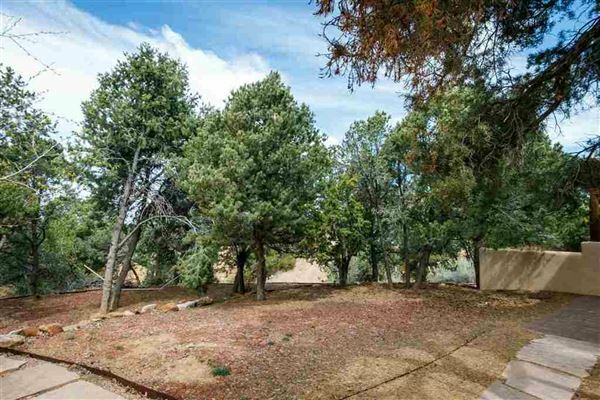 Own your own view filled 2.5 acre piece of the Trail with a fabulous 6,075 square feet between the main house and the one bedroom casita. 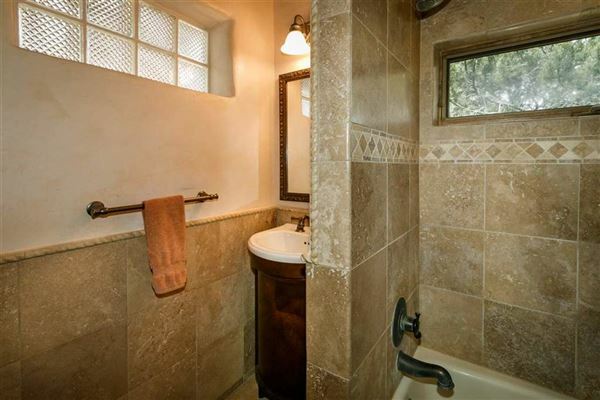 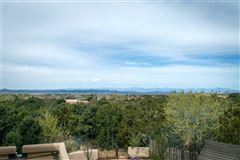 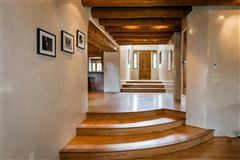 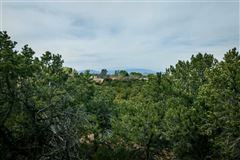 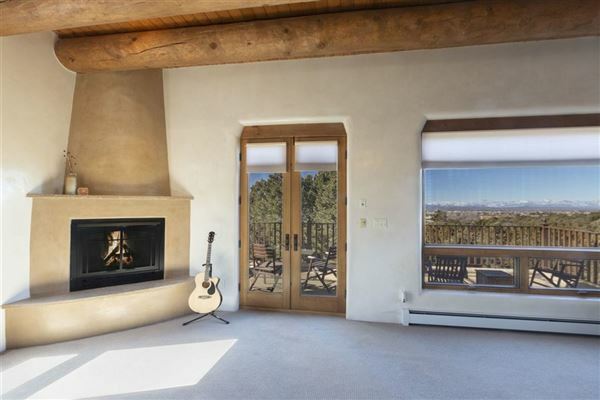 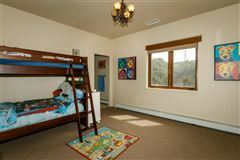 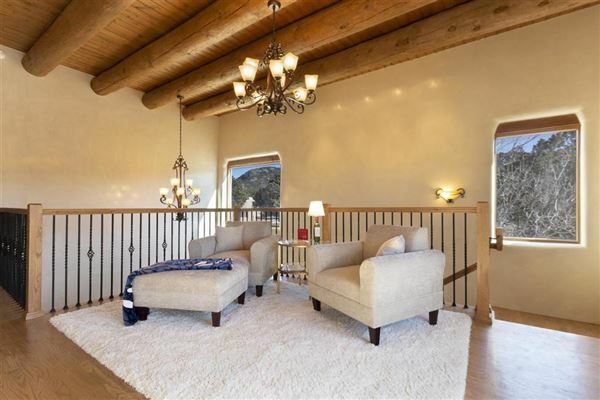 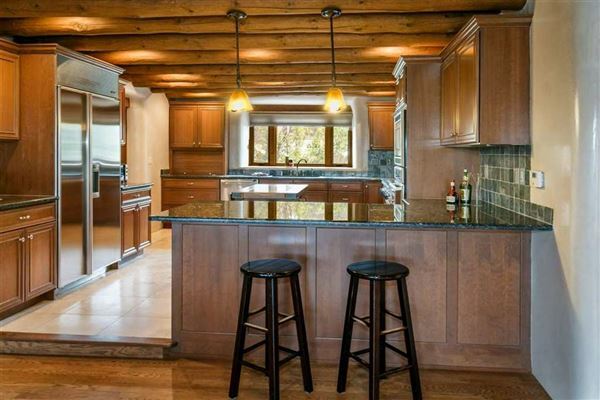 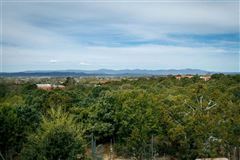 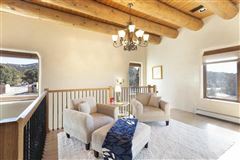 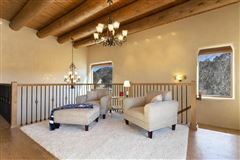 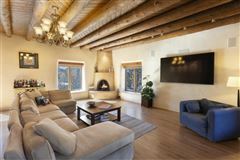 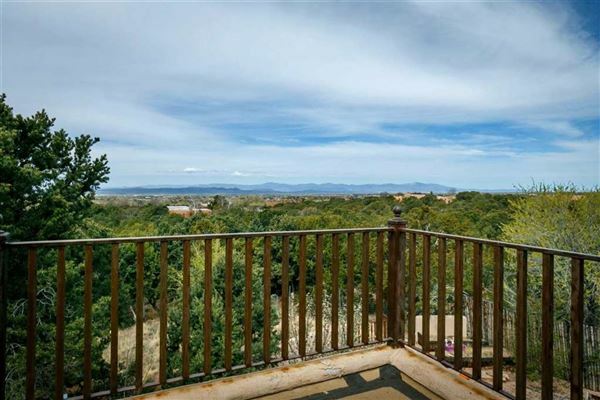 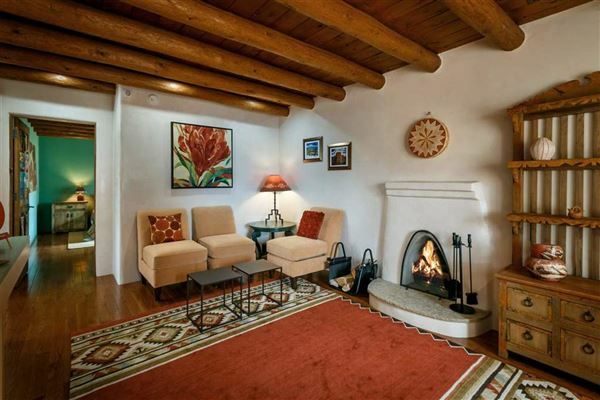 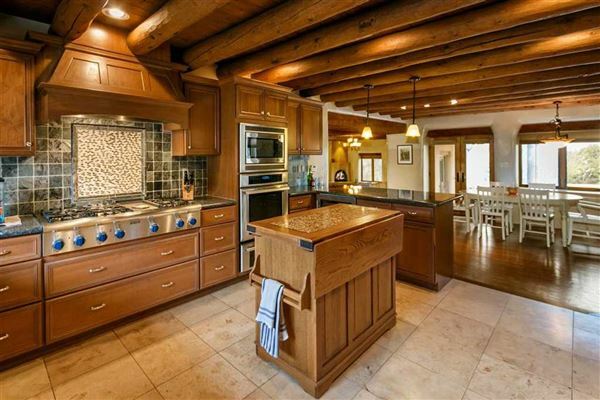 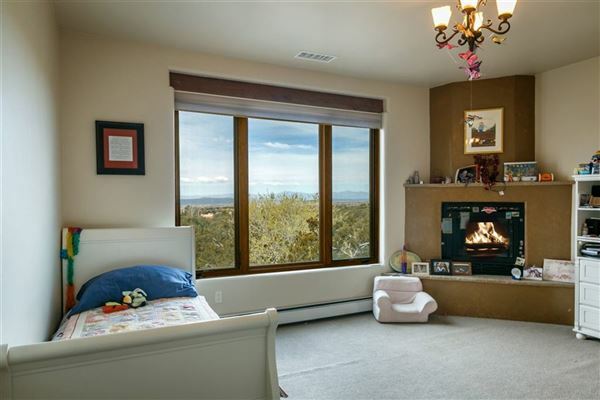 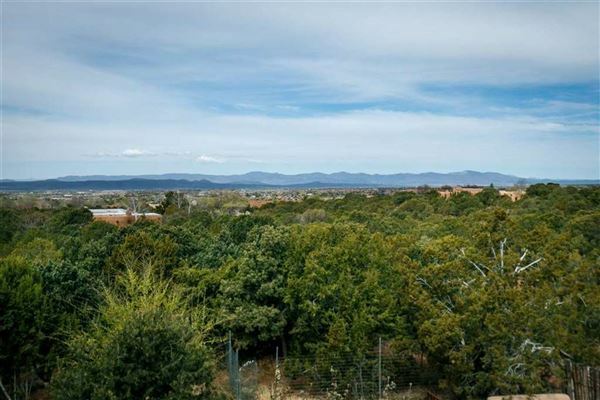 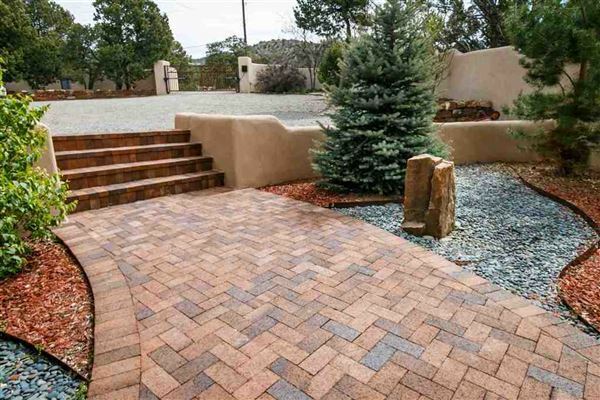 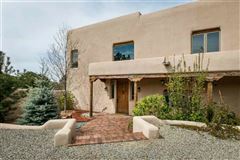 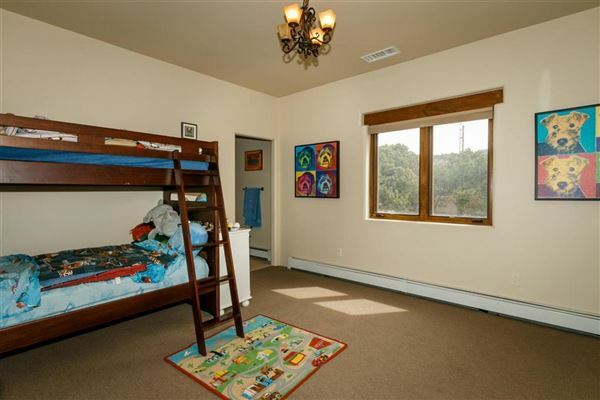 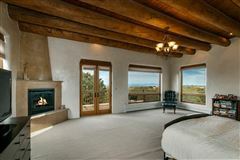 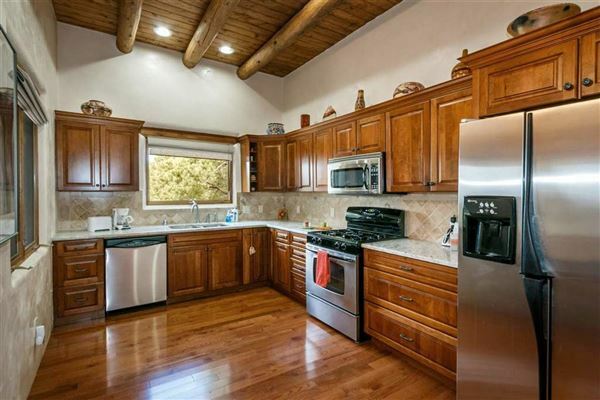 This gated estate is very close to the Historic Plaza and all of the great Santa Fe amenities. The spacious chef’s kitchen has fine appliances and ample granite counters. 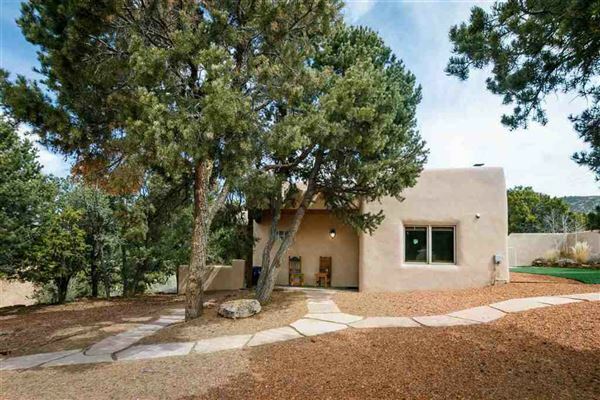 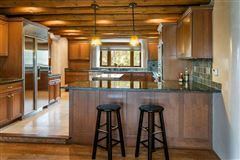 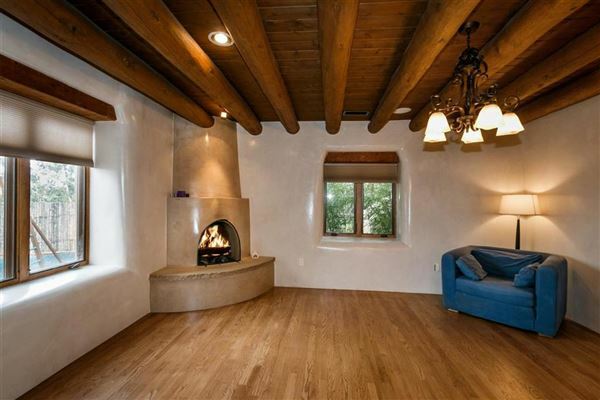 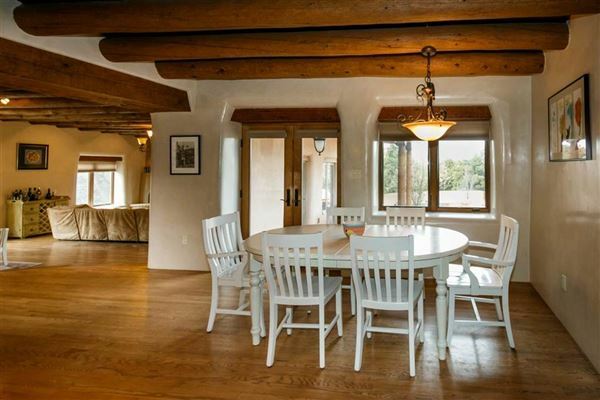 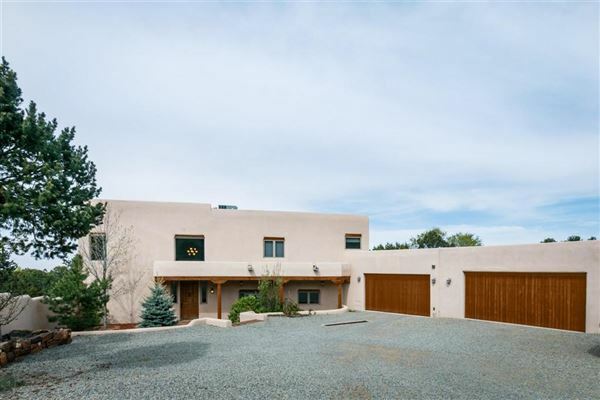 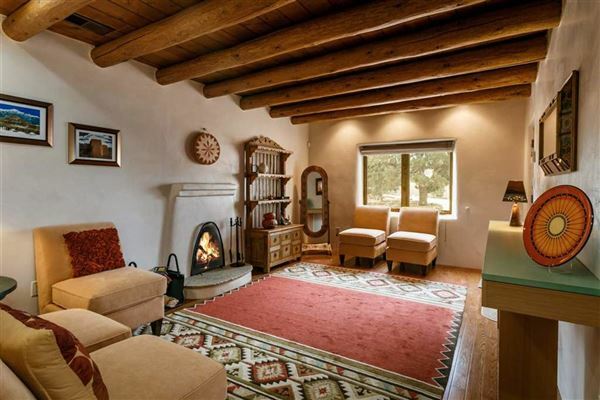 This original 1953 Pueblo style home has been fully remodeled and renovated with extraordinary living spaces for all occasions and great art walls. 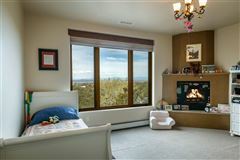 The upstairs owner’s suite boasts amazing sunset views. 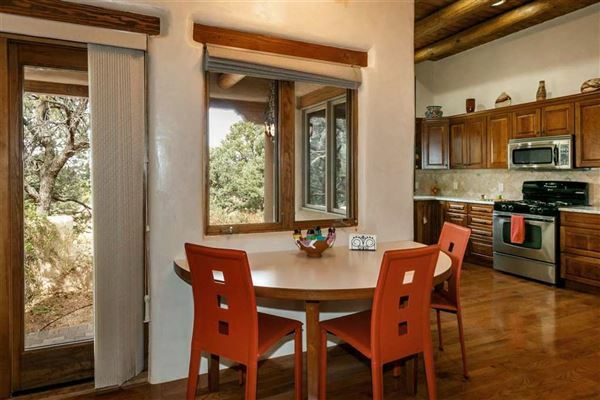 A country feel is enjoyed from the thickly wooded lot and lovely outdoor spaces. 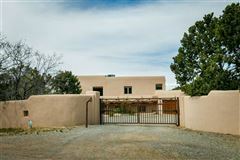 With a total of five bedrooms, five baths, double frame construction, security system, central sound system, and upgraded technology refrigerated air conditioning, radiant in floor, hot water baseboard and forced air heating, plaster walls, travertine, wood, carpeted flooring kiva fireplaces, this home has value and style. 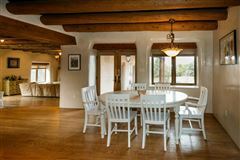 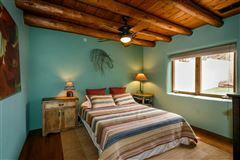 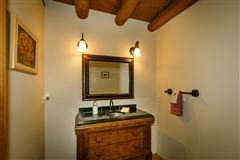 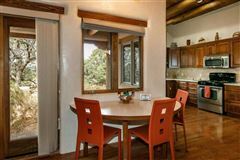 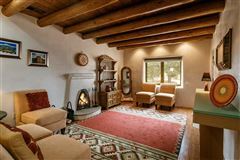 The detached casita is charming, roomy and well-appointed for full time residency or very special guests. 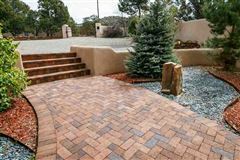 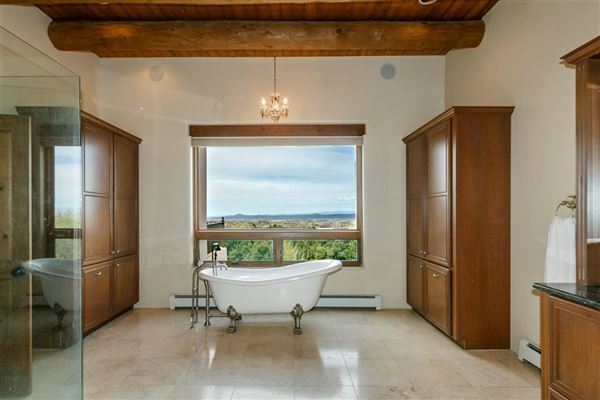 Gated entrance, three-car garage, ample storage, two 7,500 water catchment tanks and fabulous sunset views complete this offering.